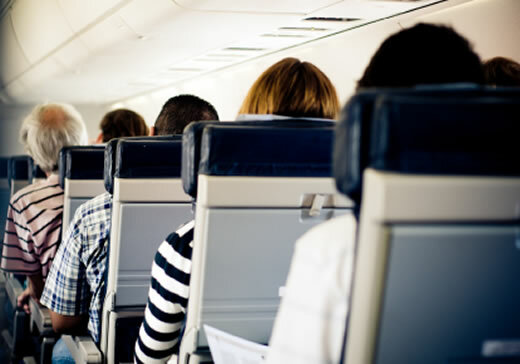 "We are hoping that this study will inform us of more effective ways to treat individuals with debilitating fears, such as the fear of flying, in an efficient manner but with lasting benefit,” says Barbara Rothbaum, principal investigator of the trial. More information about this study can be obtained by calling 404-712-8300 or emailing Robin Gross at regross@emory.edu. Researchers at Emory have begun recruiting participants for a clinical trial they hope will show that some incapacitating fears can be treated in a way that does not require medication and will be resistant to relapse. The study will implement the use of virtual reality exposure therapy (VRE), a type of cognitive behavioral therapy that involves facing a fear through virtual environments with repeated exposure that’s both controlled and prolonged. It is a non-pharmacological, safe and non-invasive intervention that has been shown to be successful in treating a number of anxiety-related disorders. Unique to this study, the researchers will examine if the use of a trigger, or cue, before each virtual reality session helps prevent relapse. Participants in the study must be diagnosed with a fear of flying, have flown before, and be willing to attend eight weekly sessions that will be conducted using a virtual airplane. There will be a total of 64 volunteers selected to participate. The participants all will be treated and will undergo an evaluation prior to treatment, post treatment and at 3-month, 6-month and 12-month intervals. Rothbaum was a pioneer in the development of virtual reality therapy. She is the director of the Trauma and Anxiety Recovery Program and serves as an associate vice chair of clinical research and professor in the Department of Psychiatry and Behavioral Sciences at Emory University School of Medicine.